According to the recent report by the World Health Organization (WHO), as for the global dementia prevalence, the number of people with dementia in the world is now approximately 35.6 million. It is forecasted to increase to 39 million by 2050. Dementia is increasing worldwide, but more than half (58%) of the patients are concentrated in low- and middle-income countries, and this percentage will rise to more than 70% by 2050. The total cost of treating dementia and social loss worldwide is over 50 trillion yen (US $604 billion) per year. In this special feature, we will introduce efforts all over the world, and would like to outline the latest treatment of dementia in the world, in addition to pharmaceutical approaches, control over insulin resistance, diets, exercise, communication with others, mindfulness and other psychological approaches. 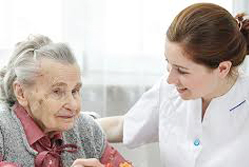 Title: Palliative Care in Dementia- when is the appropriate time to intiate? Title: Parting with the concept of Alzheimer´s disease in senium. Authors: Kalvach P., Vogner M.